We all love the convenience that rolling totes provide – who doesn’t? Teachers who have books and other equipment to carry around definitely need a tote bag, a tote bag with wheels to make their life a little bit easier. But not all bags are ideal. Such factors as mobility and size always come into play. In other words, they should boast a decent capacity and be easy to move around – you know how problematic big bags can be, especially when they are full to the brim. In the following few paragraphs, we present some of the best rolling totes for teachers. Teachers need the best rolling totes that support their constant movement throughout the day – you know how they are. Something convenient and substantial enough comes to mind. The following is a review of some of them. Every professional need a bag that suits their job – in other words, something that reflects what they do and is presentable. This bag has the design and all the qualities that a professional would be looking out for, such as a sturdy design and polished look. It is a bag that sets you apart from the rest of the pack. You know that a brand means a considerable lot when it comes to such products as rolling tote bags for work. Ideally, Alpine Swiss are a level above most when it comes to quality bags and nothing best highlights this than this tote bag. But what makes this bag a candidate for the best bag for a teacher? Well, for starters, the bag makes it a breeze to move your stuff around – you don’t need some muscle to carry all the books and equipment you need. The wheels make movement smooth and effortless so that you have all the energy you require to ace that lesson – nothing will satisfy you as much as this. The bag has more space, necessary to carry all your things – this is unlike your traditional bag where you need two to bring all your stuff. You will also find a padded laptop sleeve inside the large compartment. And to ensure your laptop and other belongings are safe, the bag comes with two separate locks – quite convenient. Among the most overlooked features are the wheels of the pack. However, you need not worry anymore as the wheels of this bag come with a curb protector. This means that as you pull up your rolling bags for professionals over the curb or steps, the bag, as well as, the wheels will not damage. However, working the locks may be a bit challenging at first. Another notable shortcoming is that the material is not leather and may not last like comparable leather products. It is available in online marketplaces like Amazon and on the company’s website. This attractive bag comes with a one-year warranty. For those that prefer a shoulder bag, then UGRACE Slim Business Laptop Backpack is a decent option. The bag can easily carry the laptop and other teaching essentials you need to fulfill your teaching duties. But how big is this laptop bag? Well, we can say that the compartment can comfortably fit up to a 5.6-inch laptop comfortably. There are five of them in total with the main one having the laptop sleeve. The other chambers are sufficient for other daily essentials such as books and tablets. There are also two front zip pockets for such things as earphone, smartphone, magazine and other carry-on stuff that you may require throughout the day. The primary material on this bag is the tear-resistant Oxford, and so there’s no question concerning durability. It also comes with quilted polyester lining – soft and durable. And to make your carry easier, the bag comes with padded shoulder straps, wide enough for your heavy books. There is safety quick access exterior pockets that you can keep the things you need while on the job – you know how teachers are, they eventually need one thing or the other from time to time as they teach. To add to the overall appeal, the product has a PU leather belt, and a great Oxford material color – not too bad for a professional look. The reinforced lining and high-quality metal zipper are other features to ensure a long term of use. This is among the professional bags for teachers suitable for a variety of uses. You can use it for hiking, camping going on a picnic and as a schoolbag among others. However, it may not be sufficiently significant to carry everything you need as a teacher and may not also hold up like other comparable bags. The warranty information for this product may not currently be available, which is not entirely a good thing. You can purchase the bag online or at your local retailer. Ladies are particularly selective when it comes to their bags. They usually prefer something that highlights their femininity and this bag does a pretty good job. 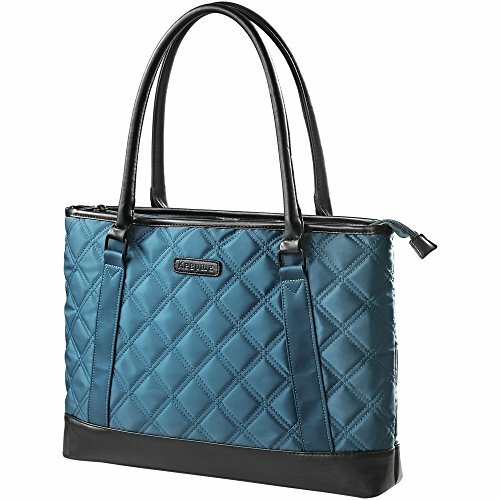 It carries a quilted pattern that any professional woman will find attractive. Keepwe Laptop Bag is water resistant – nylon-made to keep off moisture and other water. As a teacher, this is a bag you’ll love based on its attractive features. For example, it can comfortably hold and carry a laptop, and you may not need any other bag for this purpose. But it’s not only the laptop that you can take with this bag. Such things as books, files and other essentials you’ll need for the day, fit pretty well – this makes it pretty ideal for your daily activities, as a teacher. The handles and zippers are durable and will not give up on you quickly if you know what we mean. There are different compartments within the teacher tote bags with pockets for more comfortable organization. You can have your iPhone, tablet and other small items all within the bag but at different compartments – a good thing especially when it comes to access. To ensure the protection of your laptop and other essential equipment, the bag features padded and reinforced soft foam – now those little bumps along the way will mean nothing to your laptop and iPad. Despite the high points associated with this bag, some shortcomings include the size. The tote bag may not be the most appropriate to carry all the class lesson essentials you will need for the day. Also, warranty information may not be available, but it is a sturdy bag – it will accompany you to the class for several years to come. It is available on Amazon and comes with favorable pricing. It is worth the investment. This is yet another excellent laptop bag that any professional woman would want. Among the highlights include a detachable and adjustable shoulder strap. The bag is perfect for carrying a laptop or iPad of up to 13 inches. The bag is versatile as you can use it as a work bag, briefcase, satchel bag, shoulder bag, and handbag. It is one of the most appealing bags you will find anywhere. But what features make us say that? This product is entirely vegan leather. But it also carries the textures of genuine leather – but has this got to do with everything about the product? Basically, it allows you have the appeal of leather cheaply – a leather tote is pricey. The bottom studs and matching gold hardware adds to the overall appeal. Its exceptional and durable stitching adds to all the attraction. But that’s beside the point. The bag has a lot of space for your items. There are various pockets that professional ladies love. The tote bag comes with a decent structured shape that helps keep your books, papers, and files in great shape. Other items you can fit in other pockets include tablet laptop, iPad, keys and other small essentials. You have additional space in the form of an appealing matching wallet. The product has the necessary objects to add to the appeal. For example, it has gold-tone hinges, rings, and other hardware to make it attractive – it is something that will definitely turn glances. Some of the associated shortcomings include insufficient padding to protect the iPad or laptop. It also does not have adequate space to hold a full laptop. It may not even have sufficient space to carry various items. 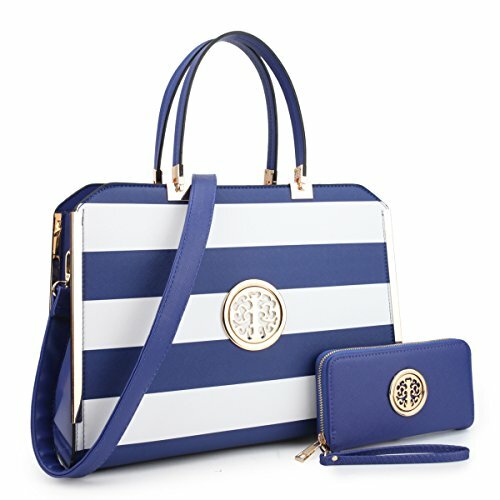 The bag comes in an excellent package to gladden the heart of the woman you are gifting to. Other great offers you get from buying the bag include free standard shipping within the United States. It also has a money-back guarantee in case anything happens, or the bag is not what you were looking forward to. Canvas material is among the sturdiest of materials and is ideal for bags. 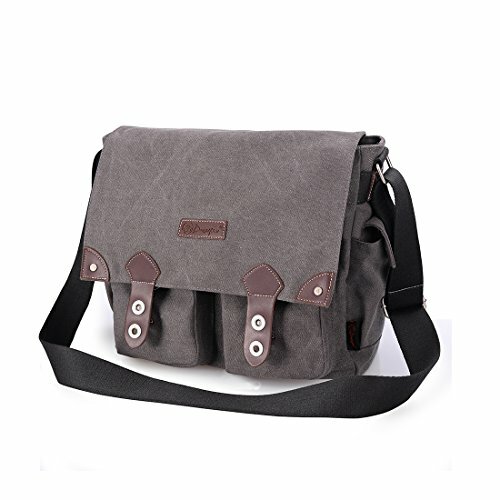 Douguyan Unisex Messenger Bag also comes with adjustable straps to fit your comfort level. This is necessary as it makes it easy to carry the bag. It doesn’t matter whether you are short or tall, the adjustable strap makes it easy for you. Some compartments and pockets make the organization more manageable for you. The main compartment has a zipper to keep your books or other equipment secure inside. There are also four exterior pockets with snap closure – this may prove hard at first, but it gets easier with time. However, regular use eventually makes them more comfortable to use. There are two front pockets, two side pockets, and back zipper pocket, but that not all. On the inside, there is a zipper pocket, and two slip pockets – you can never complain of insufficient space in a bag for your personal items ever again. The bag is neither too big nor too small – it may just be the right size for you as you move from one class to the other. It has adequate space to hold paper, file folders, binders and other kinds of stationery. This bag will also hold a 14-inch laptop but not bigger. As a teacher, this may be your ideal bag to move around in. Its low points are in the inability to hold a 15-inch laptop. However, this is a pretty good bag worth the investment. The product has a one-year warranty and customer service that is always ready to assist. It is available on Amazon and other major stores so finding it is not too much of a problem. 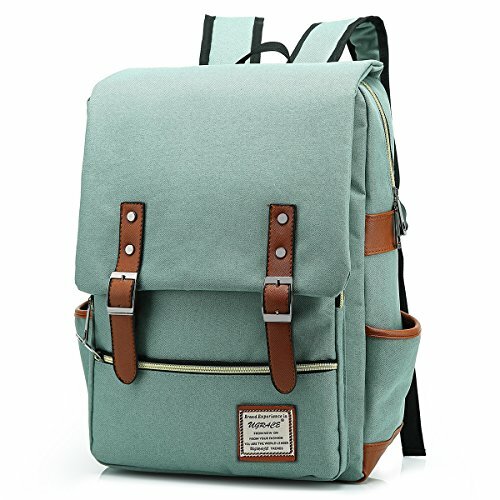 Are all tote bags similar? Just like you will find various brands of every product, you see a wide variety of tote bags. Some of them have telescopic handles where you can push them in and carry the bag on your shoulders or hands. Others have wheels, and others don’t – depending on the load you will be moving, you can choose either. What are some of the factors to consider when choosing a tote bag? All tote bags are not the same – this applies to every product you find on the market. However, there several factors to consider when choosing a tote bag and that includes size and mobility. If you are traveling through air, then something that will comfortably fit under your seat is sufficient. Mobility will depend on the size and the load you intend to carry with your tote. Books and other teaching materials are sufficiently weighty to deserve their own tote. The material determines the durability of your tote. Canvas is ideal if using the bag regularly. It would be a sort of disaster to have your bag crumble with your items in the middle of the road just because you never choose wisely – don’t you agree? How many pockets and compartments should I go with when choosing the ideal tote bag? A tote with several pockets and compartments make organization of your items so much easier. For example, teachers don’t only have books to carry. There are personal items such as cellphone, keys, and others that need to be in a separate place for easier access. Therefore pockets and compartments are critical considerations when choosing a tote bag, but how many pockets and sections? Well, it will depend on your preference and your stuff. Something in the range of three pockets and eight is okay. Two of three compartments are not too shabby. Teachers and other professionals require a functional and convenient bag to hold all the tools they need to fulfill their roles. All the reviewed bags are some of the best rolling totes for teachers that you can choose from. However, the best among them is Alpine Swiss Rolling Laptop Briefcase. 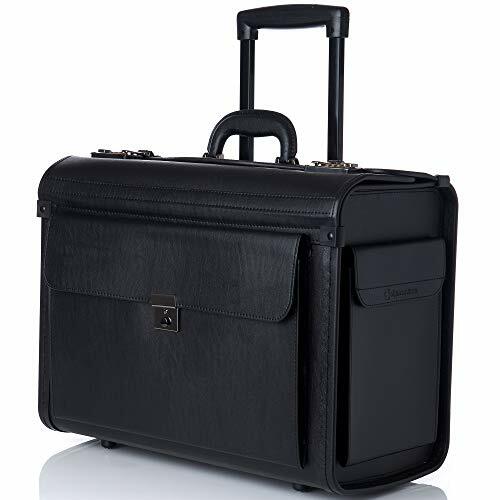 The bag has all the necessary features like locks, compartments, and pockets to make the life of a professional easier. Furthermore, it is sturdy and has an appealing design – you can proudly carry it around.